Barclays breaks ground on Glasgow’s new hub as work begins. Barclays breaks ground as work begins on building its hub on the banks of the Clyde, which will house its technology, functions and operations teams. The campus is designed to accommodate 200per cent of Barclay’s current Scottish workforce, which are expected to transfer to the new site once it is completed in 2021. Scott Stewart, site lead for Scotland, said: “It’s another big day for the new campus and for Barclays in Scotland. The effort and amount of planning to get us to this stage has been extraordinary and I’d like thank Glasgow City Council, Scottish Enterprise and Drum Property Group Ltd for all of their support in helping us get here ahead of schedule." 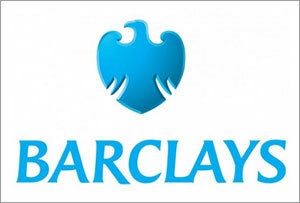 Jes Staley, Group Chief Executive, Barclays said: “Glasgow will be home to one of our global strategic campuses alongside Whippany, New Jersey, and Pune, India. "This site will play a critical role in developing and deploying the technology which customers and clients rely on and which is the foundation for our future success. "Glasgow city has all the attributes to be a leading UK and European technology centre and we look forward to being part of it."